Readings: Dan 3:25, 34-43; Mt 18:21-35. 2/ Gospel: NAB Matthew 18:21 Then Peter approaching asked him, "Lord, if my brother sins against me, how often must I forgive him? As many as seven times?" 22 Jesus answered, "I say to you, not seven times but seventy-seven times. 23 That is why the kingdom of heaven may be likened to a king who decided to settle accounts with his servants. 24 When he began the accounting, a debtor was brought before him who owed him a huge amount. 25 Since he had no way of paying it back, his master ordered him to be sold, along with his wife, his children, and all his property, in payment of the debt. 26 At that, the servant fell down, did him homage, and said, 'Be patient with me, and I will pay you back in full.' 27 Moved with compassion the master of that servant let him go and forgave him the loan. 28 When that servant had left, he found one of his fellow servants who owed him a much smaller amount. He seized him and started to choke him, demanding, 'Pay back what you owe.' 29 Falling to his knees, his fellow servant begged him, 'Be patient with me, and I will pay you back.' 30 But he refused. Instead, he had him put in prison until he paid back the debt. 31 Now when his fellow servants saw what had happened, they were deeply disturbed, and went to their master and reported the whole affair. 32 His master summoned him and said to him, 'You wicked servant! I forgave you your entire debt because you begged me to. 33 Should you not have had pity on your fellow servant, as I had pity on you?' 34 Then in anger his master handed him over to the torturers until he should pay back the whole debt. 35 So will my heavenly Father do to you, unless each of you forgives his brother from his heart." I. THEME: Forgive as you were forgiven. There are two attitudes which used to happen when people must face sufferings. They can have a negative attitude by blaming on God or others who is the cause of their suffering, such as wars, natural disasters, poverty or lay-off. They also can have a positive attitude by examination of their conscience to find out why these sufferings happened, then repenting, confessing and correcting their sins so these sufferings shall not happen again. 1/ Reading I: Azariah asked for God’s forgiveness in the midst of fire. 1.1/ Azariah positively trusted in God’s mercy: In the furnace, Azariah knew that only God can save him, his two friends and the Israelites from death. He depended on the two things to beg for God’s compassion. 1.2/ Be humble to repent and to change their life. (1) Humble repentance: Azariah knew that he and the Israelites had no merit for God’s compassion because all sinned against Him; but he knew God shall show His compassion for those who repent as the Psalm said, “A contrite heart, O Lord! 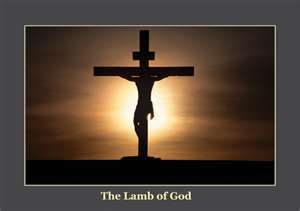 You shall not despise.” Therefore, he prayed to God: “But with contrite heart and humble spirit let us be received; as though it were holocausts of rams and bullocks, or thousands of fat lambs.” Though they no longer had the temple to offer their sacrifices, but God wants their love, not their sacrifices. Therefore, people can offer their love to compensate for their sin wherever they live. (2) Make a promise to change his life: Sins cause many damages for people. Therefore, when people recognized terrible results of their sins, they should make a commitment to stop sinning. One of the main things people must recognize when they examine of their conscience is that God is always right, and people are wrong because they did against God’s teaching. To live a better life, people must obey and do what God commands them. 2.1/ The condition one must have to receive God’s forgiveness: People must forgive others in order to receive God’s forgiveness. Peter asked Jesus: "Lord, if my brother sins against me, how often must I forgive him? As many as seven times?" Peter probably thought that the maximum a normal people can forgive is three times; but to exceed that normal limit, he increased twice and added one more time. Peter was surprised at Jesus’ answered, "I say to you, not seven times but seventy-seven times.” The simple way to explain Jesus’ answer is to forgive as many times as we received God’s forgiveness. (1) One was forgiven from ten thousands talents of gold: This was a huge amount. A talent of gold is equivalent with 35 kilogram, ten thousands talent of gold are equivalent with 350,000 kilogram of gold, and each kilogram of gold costs about 1.6 million of dollars today. When the servant begged for the master’s patience, moved with compassion, the master let him go and forgave him the huge loan. (2) The servant didn’t forgive his friend who owed him about ten dollars: When that servant had left, he found one of his fellow servants who owed him about ten dollars. He seized him and started to choke him, demanding, “Pay back what you owe.” His fellow servant begged him, “Be patient with me, and I will pay you back.” But he refused. Instead, he had him put in prison until he paid back the debt. When his fellow servants saw what had happened, they were deeply disturbed, and went to their master and reported the whole affair.His master summoned him and said to him, “You, wicked servant! I forgave you your entire debt because you begged me to. Should you not have had pity on your fellow servant, as I had pity on you?” Then in anger his master handed him over to the torturers until he should pay back the whole debt. Jesus concluded: “So will my heavenly Father do to you, unless each of you forgives his brother from his heart." - When facing sufferings, we shouldn’t quickly attribute them to God and others; but we should be humble to examine our conscience and to find out the reason why we have to endure sufferings. - God is rich in mercy. He doesn’t condemn our sins and is ready to forgive them all; but He demands us to repent and to forgive others without any condition. - Sins cause damages for the individual and the community. After receiving forgiveness, we should avoid sins and renew our life by practicing what God teaches us.